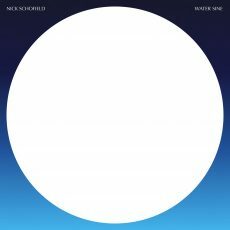 Comprised of minimal instrumentation and field-recordings, Nick Schofield's 'Water Sine' album is a soundtrack for sleep; an antidote to insomnia. Softness and simplicity. A sound that beckons for tranquility and release. Created with one synthesizer, one effect pedal, and a field-recorder, Schofield continues the ambient tradition pioneered by Hiroshi Yoshimura and Brian Eno, allowing for the soothing effects to wash over us all.